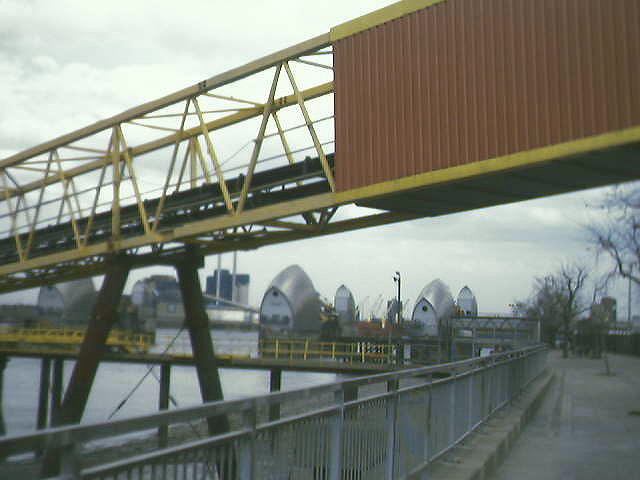 Gravel works by the Thames need these big conveyor belts to transfer sand and gravel to and from boats. They soar over your head as you cycle down the river bank. In the background you can see the Thames Barrier – designed to protect London from particularly high tides. Most of the time it is open, but they can close off the whole river if needs be.